A Camphill Shared Lives Communities Ltd project lead by the Land Group of the Esk Valley Camphill Community. The vision is to create a model close to that of Community Supported Agriculture which consists of a partnership between growers and consumers where the risks and awareness are equally shared. People from the locality will be invited join it as well as those who live further afield and who all believe in the idea behind it. We see tremendous value in having an open space for Camphill Co-workers, adults with learning disabilities and/or mental health issues, volunteers from the locality as well as from further away and abroad. We strongly believe in Biodynamics as a way to live with the Land. We are looking to develop associative partnerships with the Seed Cooperative, a new independent BD project, and the Health Shop in Danby. We aim to grow into a space of about 3 acres including the orchard plots and also the soft fruit bushes. 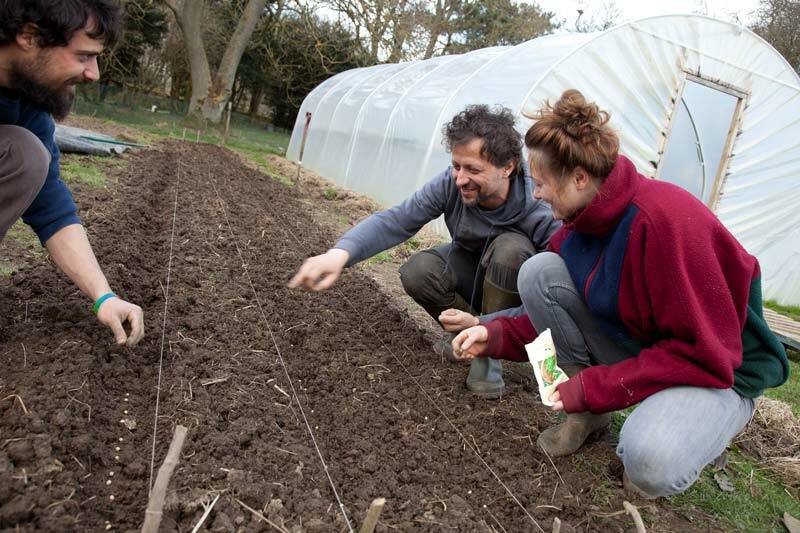 Alongside and combined with the vegetable production we plan to collaborate with the Seed-Coop, the UK community-owned seed company committed to breeding open pollinated seeds, growing some of the crops also for seeds. This kind of production would also give some indoor work with packaging and sorting seeds for the winter time and when the weather doesn’t allow outdoor work. This is of particular importance in a Community in which people with complex needs are involved. We shall grow about 30 different kinds of crops plus fruits such pears, apples, plums, currants, berries, nuts. In order to provide a more complete variety of food to the community we plan to work with about 80 laying hens. This is a number worked out in order to supply the whole community and the Danby Health Shop. At the moment the demand from Community and the shop’s customers is of about 45 eggs per day. Introducing animals in the farm organism is also another way to vary the jobs for different groups of people on top of providing fertility through their manure. The hens will also constitute a valuable management tool for the soil, working with rotations and moving them around the land according to the needs of the ground. The combination of plants and animals will already start to give a sense of a more self-sustainable farm organism. The basic idea is that the households within the community will pay a subscription in advance to the Garden enterprise in order to have a supply of vegetables and eggs throughout the year. With this we already then have an initial investment from the members of the Community who therefore carry the risk of this community enterprise. 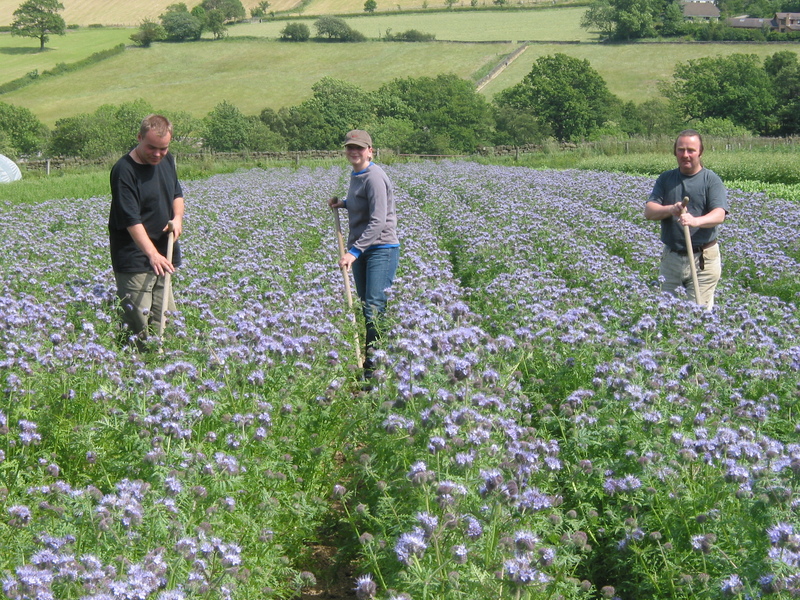 The team of land workers will be formed by volunteers from the Esk Valley Camphill community - Co-workers, adults with learning disabilities, short-term volunteers and in the longer term, a biodynamic apprentice. The EVCC is a newly-founded Camphill community in the heart of the North Yorkshire Moors. We are ca. 80 people, of all ages and abilities, who have chosen to live and work together in this way. There are typically around six to ten people living in each household. The household is comprised of two to three people who have a learning disability, one or two Co-workers (with their family or children) and a short-term volunteer, usually from abroad, some of whom will train as support carers. The majority of Co-workers in the community are Shared Lives carers registered with the Avalon Group, responsible for providing support services commissioned by the local authority. Short-term volunteers typically spend six months to a year in the community. Everyone is a part of and makes a contribution to the running of the house community and to making it a happy home, and a therapeutic and healing space. The community garden offers a variety of different jobs in connection with nature and food production. The actual and physical work in the garden will be complemented by homemaking and other indoor jobs such as sorting and packing seeds and herbs.